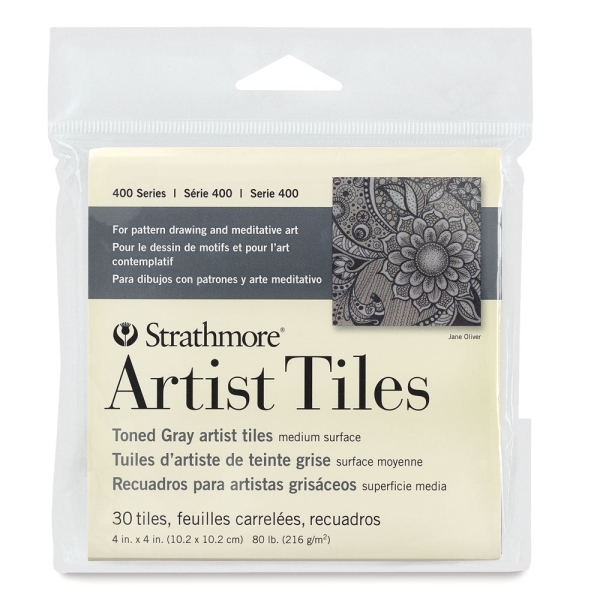 Ideal for pattern drawing and meditative art, these affordable, pre-cut artist Strathmore 400 Series Toned Paper Artist Tile sheets help make the process of combining repetitive marks, circles, lines, and forms both fun and easy to learn. These acid-free Tan and Gray tiles are toned specifically for sketching with both dark and light media. 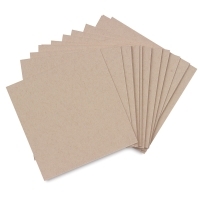 80 lb (216 gsm). 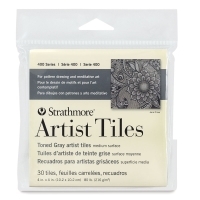 Pack of 30 tiles.